The Foxfires are a four-piece Seagaze band from New York and New Jersey formed in 2013. Their sound is an oceanic Indie-Rock blend of Folk, Shoegaze, Surf Rock, and Indie Pop -- perfect for all seasons, yet summery in nature. The group's music has been used on NASCAR, Discovery Networks LLC (Discovery, Science Channel, Animal Planet, TLC), MTV, commercials, and radio play in the US and UK. They have played at numerous festivals across the US, including at Pittsburgh Pride with Jennifer Hudson. The Foxfires have played across the US, with artists such as Michale Graves (Former Misfits), Kurt Travis (Former Dance Gavin Dance), Sparks the Rescue, Have Mercy, and Rookie of the Year. Festivals and events they have played include Pittsburgh Pride, Newburgh Illuminated Festival, Jersey Shore Music Festival, The NYC Marathon (2016, 2017), Northside Festival, Groove on Grove (2016, 2017), ValleyFest, and the Millennium Music Conference (2017, 2018 both as a featured artist on the event's compilation CD.) 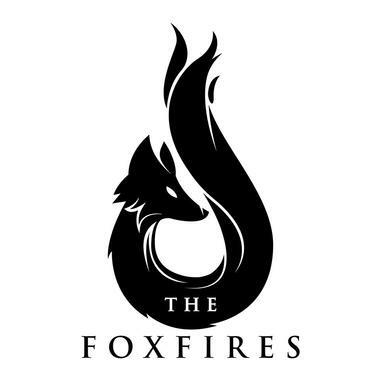 The Foxfires will be performing at PVD Fest in Rhode Island and PEX: Summer Fest in June, O+ Fest and Musikfest in August, and ECMC in September with more to come during the year. The Foxfires write songs about anti-suicidal themes and coming together as a people. The group's lyrics are positively charged with an affinity for universal peace, empathy, tolerance, love, justice, unity, community, and enlightenment. Their key influences are The 1975, Wilco, Mumford and Son, and The Beatles.